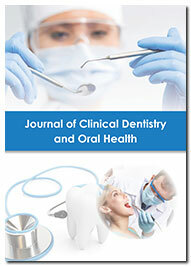 Journal of Clinical Dentistry and oral health is a multidisciplinary, peer reviewed, scientific publication that publishes leading-edge scholarly manuscripts based on contemporary research findings related to Oral Health as well as the diagnosis and treatment of oral diseases, including but not limiting to tooth decay, gingivitis, dental plaque, tooth loss, system dental diseases, mouth ulcer and oral cancer. The journal prioritizes the publication of manuscripts that may contribute to the accentuation of dental research, prosthodontics research as well as the advent of novel dental biomaterials that are suitable for biomedical applications. The journal acts as a platform for the dissemination and exchange of information that may further the process of research and implementation of methods and tools of dental information technology, oral & maxillofacial surgery, oral medicine and raise awareness regarding the importance of dental public health. The journal invites scientists and medical researchers from countries around the world to submit their original manuscripts in the form of research articles, review articles, short communications, case reports, opinion articles and commentaries. All submitted manuscripts will undergo a rigorous process of double blind peer review. The acceptance of each citable manuscripts is subject to the approval from two independent reviewers. A confusing endodontic case with retrograde periodontitis.